Short Review of Mike Vlach's "Philosophy 101"
by Michael J. Vlach (Silverton, OR: Lampion Press, 2016). With this book Michael Vlach (Professor of Theology at The Master's Seminary, California) offers an excellent introductory text to philosophy. Clearly drawing on his past as a community college professor of humanities and teacher of philosophy, Philosophy 101 (as its name indicates) provides the complete beginner in philosophy with a valuable introductory survey of a subject often perceived by many as esoteric and inaccessible, drawing upon an approach and style which is uncomplicated, easy to read and yet detailed in scope. Consisting of 101 entries covering key thinkers, movements and concepts, Vlach's book covers philosophy from the earliest Greek thinkers through to the present's focus on pluralism and postmodernism. He manages to pack a great deal of material into a book which is fairly short and easy to read, providing simple explanations and a "nutshell" summary at the beginning of each entry. Some might argue that the book is somewhat reductionist or simplistic, given just a couple or so pages are devoted to each entry. Yet in fact this is what makes the book so strong. It is, after all, an introduction to the topic, and it satisfies this task well by providing readers with a basic, solid framework to philosophy, allowing them to move on to deeper reading later. Meanwhile, its easy-reading style keeps the reader on board, unlike many other introductory works which become too mystical within a view short pages. Thus, it is ideal for anyone who has sought to study philosophy but has struggled with previous attempts, as well as anyone approaching the topic for the very first time. Aside from this clear, simple style, Vlach - an Evangelical Christian - writes objectively and avoids polemics, making it a useful tool for Christians and non-Christians alike. It has been stated that philosophy is the "handmaiden of theology", and certainly throughout church history key Christian thinkers have drawn heavily upon it, to the extent that it has often shaped much of Christian thought. Thus, the extent to which some systematic theologies have drawn upon philosophy has caused some Evangelicals to become wary of the influence of philosophy. I would tend to agree, believing systematic theology should be firmly underpinned by biblical theology. Yet knowledge of philosophy, its key thinkers and movements throughout history is invaluable for Christians today engaging with society. Human history is one long attempt to understand our world and ourselves, to create order and understanding, so that the social and political movements and worldviews we witness emanate from philosophical reasoning. Today, perhaps more than ever, human ideas and thought are shaping society's worldview and values, which are in turn are ushering in new laws, expected modes of behaviour and expanding the coercive power of the state, which are all affecting Christians more and more in their everyday lives. Thus, understanding how concepts such as, for example, today's pluralism and postmodernism, how they were driven and evolved, as well as where they and other movements may lead, all come from engaging with philosophy. This makes the study of philosophy all the more important an endeavour for Christians to engage in. Vlach's book offers an important first step in that education. 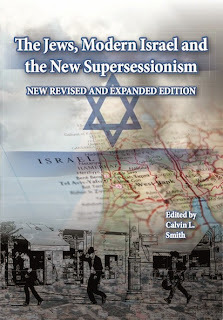 Incidentally, Mike Vlach (a colleague on the editorial committee of the Evangelical Review of Theology and Politics) has written an invaluable book exploring supersessionism. On 22 August I posted a Korean translation of the paper I delivered at a conference organised by Korean churches in London exploring the issue of the Church and Israel. More details here. The conference organisers have since produced a booklet with all the papers available (in Korean). They have kindly given me permission to include a download link to the full booklet for readers to access all the papers. I gave a talk at a conference held by Korean churches in London (July 2015) to explore the issue of the relationship between the Church and Israel. The following paper was the basis of my talk and has been kindly translated into Korean by Kyuwon Park, one of the conference organisers. (Scroll down for footnotes). Asia Bibi and Just Another Petition. But What If…? This week saw an update on the plight of Pakistani Christian mom of five Asia Bibi, sentenced to hang for blasphemy against Islam. Her original sentence was upheld at appeal and her case has run its course. There appear to be no further judicial avenues to pursue and she remains in prison, awaiting execution. This situation has dragged on for four years. When I visited No 10's e-petition site yesterday I was surprised to find none on behalf of Asia Bibi, so I posted one. I was duly informed it would take up to a week for approval (which was discouraging) but by late afternoon I received an email to say it had been published. Since then I've been writing to friends and colleagues asking them to sign and share. It's a slow, slow business. The petition has been up 24 hours and has nearly 300 signatures at the time of writing. At one level it's great to see so many people take the time in the middle of a busy day or week to sign yet another petition. But at another level it seems a tiny drop in the ocean. Indeed, this afternoon a social media contact pointed out to me other petitions (which I didn't know about) on behalf of Asia Bibi, with many more signatures, that nonetheless so far appear to have achieved little. I must admit to having felt somewhat deflated. Yet this petition is a little different. Rather than a general call for Asia Bibi's release, it seeks to put pressure on the UK government and British politicians to intervene, in turn putting pressure on the government of Pakistan to act. Seeking the release of someone residing outside the jurisdiction of your local politician is one thing. But petitioning for your government and politicians to intervene and make a difference, so that they are in no doubt this is absolutely a major issue for many British voters, is quite another. Especially when a general election is looming… and one that looks like being the closest in years. Make no mistake, every British politicians is acutely aware how every vote counts in 2015. I do not suggest for one moment that politicians are solely motivated by votes (!). But with so many causes vying for our politicians' attention, logically it's the most popular that attract political support. Britain has long and considerable historical, political and economic relations with Pakistan, and thus british politicians could make a real difference.